I missed A Quiet Place in the theaters. After watching it this past weekend, I’m kicking myself for waiting so long to see A Quiet Place. The movie takes place sometime in the future where the world has been decimated by monsters who have hyper-sensitive hearing. This has forced the world to go into hiding and to remain virtually silent. A Quiet Place tells the story of Lee Abbott (John Krasinski), his wife Evelyn Abbott (Emily Blunt), his daughter Regan (Millicent Simmonds), and son Marcus Abbott (Noah Jupe) as they try to survive in this harsh world. Through the trials of the Abbott’s, you will jump, cry, and maybe even laugh. More than that, you will find Reel Leadership lessons in A Quiet Place. The world in A Quiet Place was scary. There were monsters that would attack sound. This meant if you were to speak, there was a good chance the monsters would attack you. Because of this, people had to use sign language and lights to communicate. They would rarely open their mouths to speak. Their communication came from signals and lights. You may believe you can communicate effectively through your words. And you may be able to speak elegantly. Yet you’re not communicating effectively. True communication is more than words. Communication is a mix of words, non-verbal queues, and more. Know you can communicate in more ways than words. Begin practicing different forms of communication. You’ll become a better leader because of your work on the non-verbal. At the beginning of A Quiet Place, Regan gave her little brother Beau (Cade Woodward) a toy spaceship that Lee had taken away. When she gave the toy back to Beau, he grabbed the batteries and put them back into the toy. As they were headed back to their house, Beau activated the toy by a bridge and was killed by one of the monsters. Regan held herself responsible for her brother’s death. She felt she was responsible for his death. She kept living with the weight of this on her shoulders. You’re going to make mistakes as a leader. But you can’t live with the heavy burden of guilt. You have to move on from guilt. You can remember your mistakes but you can’t hold onto them. Learn how to let go and move forward. Your guilt will hold you down. Your forward movement will free you. Regan felt her father didn’t love her because of her brother’s death. This was part of the guilt she held onto. Yet, if you’re a father, you know you still love your children regardless of what has happened in the past. Lee was no different. He still loved her. However, he didn’t communicate the message until the very end of the movie. It’s easy to bottle up our feelings and not communicate how we feel about those we lead or, even, our own family. We believe because we’ve said it once that it holds true forever. People aren’t like that. People require you to reinforce your feelings by expressing them through words and actions. Don’t hold onto your feelings. Communicate what you feel and why. Your team and family will thank you for this. Listen to me, it’s important that you learn these things. He just wants you to be able to take care of yourself, to take care of me, when I’m old, and grey, and I have no teeth. Don’t worry. Lee was getting ready to take Marcus out to learn about the world. Marcus freaks out and says he doesn’t want to go. His mother, Evelynn, knew there was wisdom in sending him out with Lee. Out there, Marcus would learn truths about the world. He would learn how to take care of himself, his mother, and others. Learning new things may be scary. It was for Marcus. But learning how to take care of those you lead is something you need to do. People are relying on you. You have to learn the skills necessary to protect them. Evelynn had carried a bag upstairs and the bag caught on a nail. The nail was pulled up and not fixed. Later in the movie, she stepped on the nail which alerted the monsters to her presence. Had Evelynn taken care of the small nail when the issue arose, she wouldn’t have stepped on the nail. She also wouldn’t have made noise which called the monsters to her location. Little issues, when taken care of, don’t lead to bigger issues. 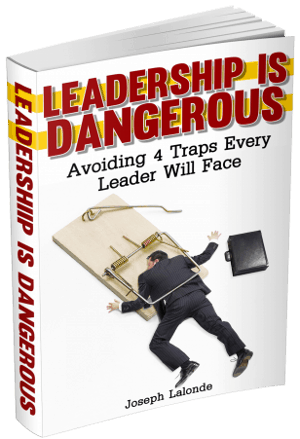 When you leave little issues on the table, you’re asking for a bigger problem to arise. Take care of the little things, when they’re still little things. Lee took son out to teach him about the world. He showed him the waterfall and that you could make noise while the waterfall covered your voice. Lee also taught his son how to fish and stay under the radar of the creature. He helped prepare son to take over for him if anything were to happen. You’re not going to be a leader forever. You may forfeit the title or you may pass away. Leadership titles are passed like a baton. From one person to another. Knowing this, you have a responsibility to leaders coming up behind you. You have the responsibility to teach and train them to be a good leader. Help them grow and reach their full potential. While Marcus was Lee’s son, Marcus held a wealth of wisdom in his words. He shared with his father things he had picked up on that Lee had not. You cannot discount the younger generation based on their age. Many people have wisdom that betrays their age. They’ve studied and worked on becoming experts in their fields. Be willing to listen to people, regardless of their age. After stepping on the nail, Evelynn tripped the right lights to signal she was in danger. Lee and Marcus saw the signal. They knew they had to spring into action. Lee sent Marcus by himself to set off fireworks to distract the monsters. He couldn’t go with him. Marcus had to go by himself. Leadership isn’t a solo event. Though sometimes you will have to go by yourself. Don’t make solo events the norm. But know they will come. Evelynn had been through a lot. Childbirth, stepping on the nail, losing a child. She was exhausted but wasn’t willing to stop. Lee saw this and knew she had to rest. So, he ordered her to rest. Our lives are hectic. They’re filled with so many activities it may feel like your head is spinning. Know you can rest. Know you must rest. Rest restores and rejuvenates you. Your body was created for rest. Give it what it needs. Lee and Marcus came across a dead woman (Rhoda Pell) in the woods. They then ran into her husband (Leon Russom). The husband was grief-stricken. So much so that he let out a cry so he could be consumed by the monsters. The monsters quickly descended on his location. They tore him limb from limb. The old man’s grief consumed him. Grief is a powerful emotion. I’ve felt my share of grief, especially in dealing with the loss of two of my dogs. The grief often felt overwhelming. Like I couldn’t get through the fog it caused. I could have let grief consume me. But I didn’t. And neither should you. Grief will ebb and flow. It’ll come and go. You can’t let the feeling of grief win. Don’t worry. Don’t worry, he’ll come for us. Regan had run away from home. When she saw the fireworks and red lights, she began to journey back home. She found Marcus. He had been separated from Lee. Now, Regan was fearful Lee wouldn’t look for them. Marcus, on the other hand, had faith their father would come for them. After all, he loved them. Great leaders inspire confidence from their team. Their team will believe and trust in them. This is the sign of a great leader. Their team trusts them. Lee had given Regan a hearing aid. She resisted because of all the failed attempts before. She was tired of trying to be able to hear with failed aids. Yet, for some reason, Regan decided to keep the hearing aid on. When the monsters came near, there was feedback from the hearing aid. This noise drove the monsters crazy. Regan may have had the answer to defeating the monsters all along. Had she been willing to wear the hearing aid, she may have noticed the creatures recoiling in anguish. Like Regan, we can hold our key to victory in our hands and never realize what we have. Your unique skills and abilities are your key to victory. Don’t discard them because they’re not what you expect or desire. Your skills are unique and valuable in your hands. At 12 months old, actress Millicent Simmonds became deaf. She lost her hearing. Could you imagine how hard that had to be? To be deaf and live in a world of sound? Many people would have allowed that to stop them. Millicent didn’t. She pursued her dreams and became an actress. Millicent was Regan in A Quiet Place. Her disability didn’t define her. Her disability didn’t stop her from acting either. You may have a disability and believe your disability hinders you from leading. Stop with this negative thinking. Your disability doesn’t disqualify you from leading. It makes your leadership different. And that’s a good thing. Question: Have you seen A Quiet Place? If you have, what leadership lessons did you take away? 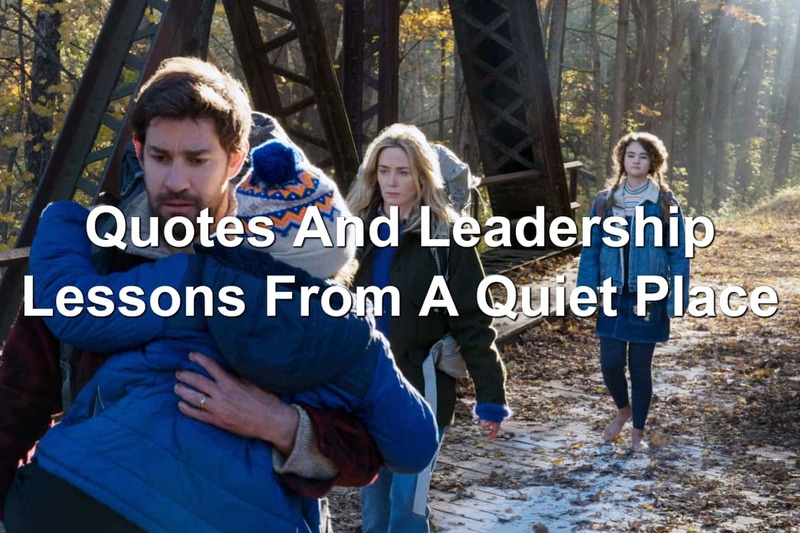 If you haven’t seen the movie, what leadership lessons from A Quiet Place resonated with you? Let me know in the comment section below.